INTRA WORKOUT contains coconut water, minerals and B vitamins, including thiamine, vit. B6, riboflavin and vit. B12 that support energy metabolism and help the function of the nervous system. 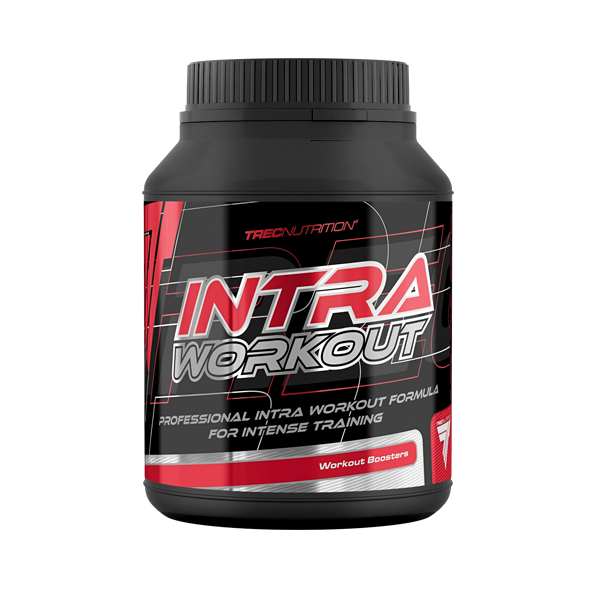 INTRA WORKOUT formula offers a combination of branched-chain amino acids (BCAAs), creatine, citrulline and beta-alanine with anhydrous caffeine, l-carnitine, taurine and l-tyrosine. INTRA WORKOUT is designed for use during training – it provides body with essential nutrients. Dissolve one serving of the product 30 g (4,5 scoops) in 1800–2000 ml of water in a shaker. Use 1 serving a day during training. WARNINGS: Do not exceed the recommended daily dose. Do not use the product as a substitute for a varied diet. Children, pregnant or nursing woman must not take the product. Do not use the product in case of circulatory system problems or sensitivity to caffeine. Do not combine with alcohol! Varied and balanced diet and a healthy lifestyle are important. The product may contain allergens such as: milk, soy, wheat, barley, eggs, peanuts and nuts. INGREDIENTS: PRO ENERGY FORMULA [maltodextrins; branched chain amino acids (L-leucine; L-valine; L-isoleucine); tri-creatine malate; taurine; citruline malate; coconut water; L-tyrosine; L-carnitine tartrate; beta-alanine; inosine; caffeine anhydrous]; VITAMIN FORMULA [vit. C (L-ascorbic acid); thiamine (thiamine mononitrate); riboflavin; niacin (nicotinamide); pantothenic acid (calcium D-pantothenate); vit. B6 (pyridoxine hydrochloride); folic acid (pteroylmonoglutamic acid); vit. B12 (cyanocobalamin); biotin (D-biotin)]; POWER SUPPLY FORMULA [inositol; p-amino-benzoic acid; choline bitartrate]; MINERAL FORMULA [potassium (potassium carbonate); chloride (sodium chloride); sodium (sodium chloride); magnesium (magnesium carbonate); calcium (calcium salts of orthophosphoric acid)]; aromas; anti-caking agent – silicon dioxide; thickener – cellulose gum, xanthan gum; sweetener – sucralose.